It's time for Sunrooms! 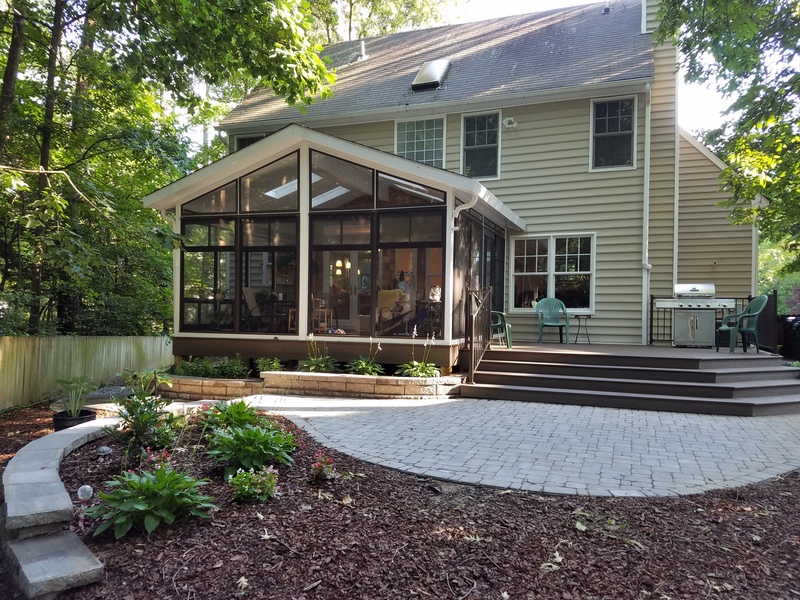 | Old Dominion Innovations, Inc.
Home » It’s time for Sunrooms! While Southwestern Va is hit with another snow storm, here in Central Virginia we’re watching the daffodils bloom and Hosta poke through the mulch. I do believe spring has arrived, even if a bit late. While most of us have some type of deck or outdoor patio, they are seldom used. It gets too hot or cold, mosquitoes and flies run us off or the rain sends us inside. 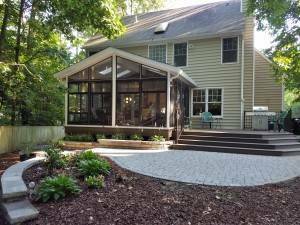 Two years ago we replaced our deck with a three-season sun room. Wow! What a difference that has made. We now have coffee out there in the morning – even on cool brisk days and a glass of our favorite beverage in the evenings. When we have company, we end up in our three-season room. Sunrooms are wonderful, we use ours 85% of the year. Not just 9 to 10 times a year like we used our deck. I can’t believe the difference this room has made in our lives. We find ourselves sitting out there talking and not indoors watching TV. Last year, we added indirect lighting to make ours a bit softer at night. We turn on our ceiling fan and get a cool breeze in the hot summer. It just doesn’t get any better. ODI decided to offer our customers a better way to enjoy the outdoors. There are so many ways to use your sunroom and so may options to build one. Give us a call and check out our sunrooms today. You won’t be disappointed. And then, please send us pictures of ways you have found to enjoy yours. PS: Our grandchildren love hanging out in ours too!